Here’s what my wall looks like right now. I had them all over the place but lost track of where I was hahaha So, I put them all back together in sets. It did look amazing with all those blocks up there in higgly piggly order – it gave me a really good idea of how it’s going to look when finished I’ll have to do some resquaring to have these blocks all measure the same size they are within 1/16th of inch of each other, but that 1/16th is a lot bigger than I originally thought. 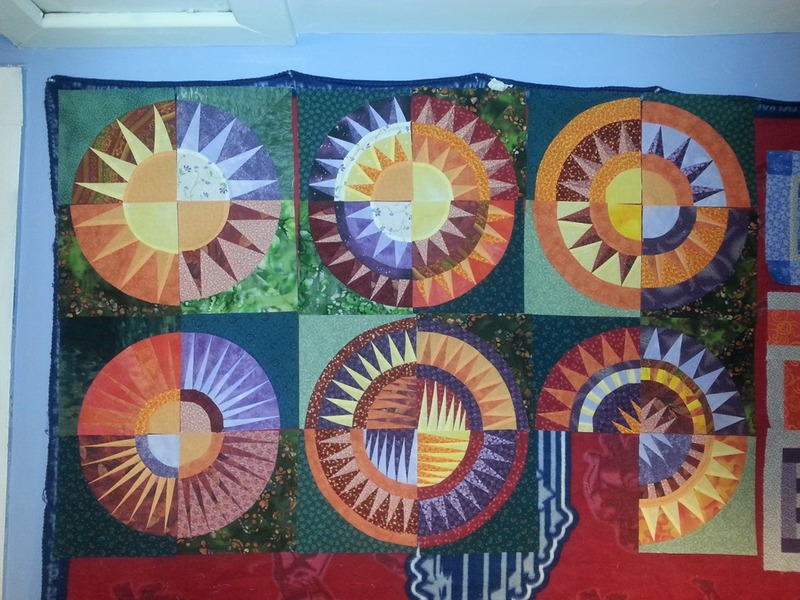 The arcs all have to line up and so do the backgrounds or its going to make my OCD go sideways even with me putting the blocks everywhere – I do not want to have issues with this quilt being too wonky while I’m trying to piece the top together. 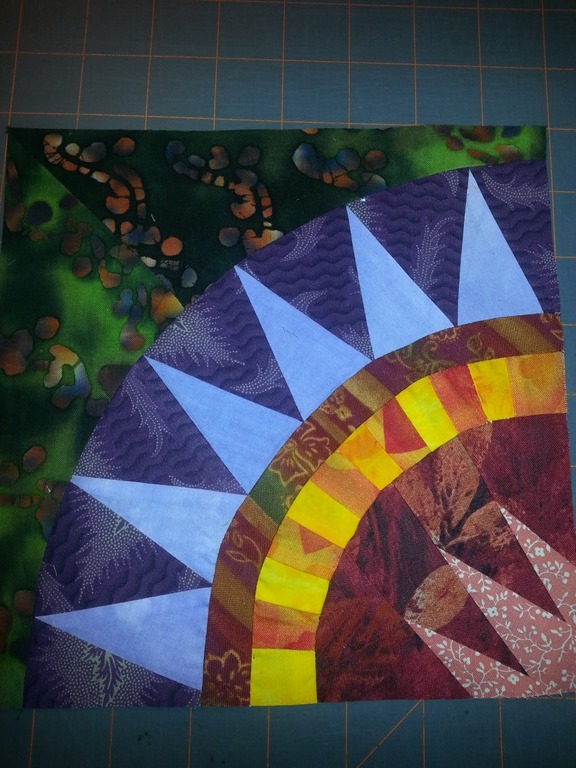 And I’m thinking of borders now too – I will use partial blocks in the borders and maybe smaller versions of the less complicated blocks, but that’s still ahead – finish the sets and square up the blocks – I’m getting soooo excited and am learning so much with this I’m definitely loving the challenge! Looking good, Grace! I do have a question. 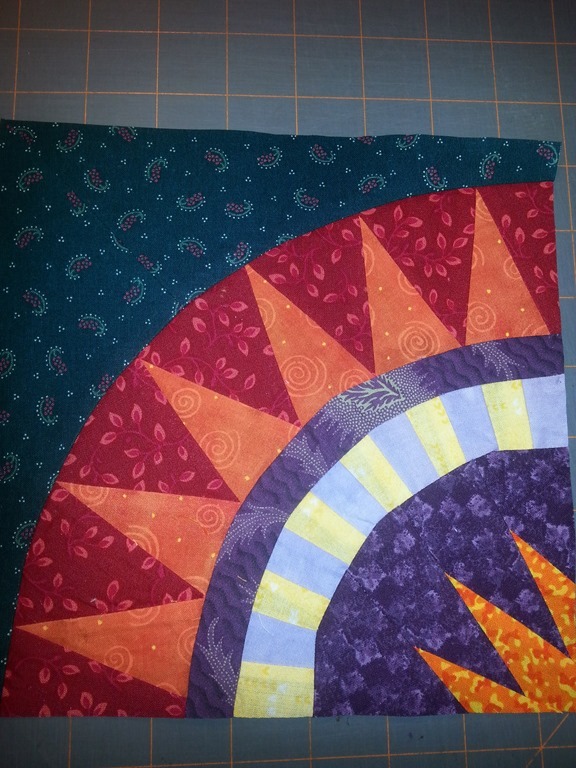 I saw the beautiful quilt label you made and I’m hoping you can either go through your process or point me to the place you learned to make such a beautiful label? Thanks!